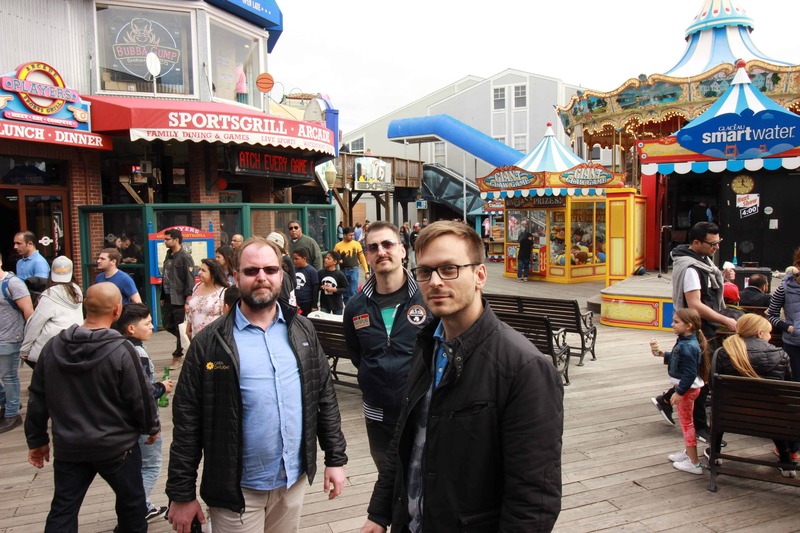 Our PANTHEON.tech all-star team, comprised of Juraj Veverka, Martin Varga, Róbert Varga & Štefan Kobza visited the Open Networking Summit North America 2019, in the sunny town of San Jose, California. In the span of 3 days, keynotes and presentations were held with notable personalities and companies from various network companies & technological giants. “It was crucial to present our ideas, concepts & goals by short messages or few slides. Since the approximate time of our booth visit was 2-3 minutes, I had to precisely focus and point out why we matter.” (who is saying it?) This was not an easy task, since there were companies like Ericsson, Intel, Huawei or IBM at the conference. 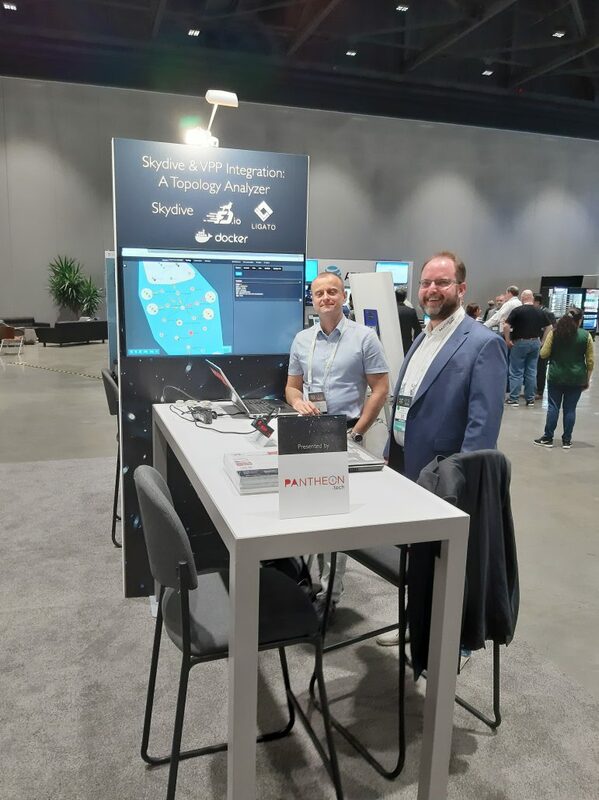 Skydive is an open source, real-time network topology, and protocols analyzer. It aims to provide a comprehensive way of understanding what is happening in the network infrastructure. We have prepared a demonstration topology containing running VPP instances. Any changes to the network topology are detected in real time. Skydive is a tool that can quickly show, what is currently happening in your network. VPP serves the purpose of fast packet processing, which is one of the main building blocks of a (virtual) network. If anybody wants a fast network – VPP is the way to go. Connecting Skydive & VPP is almost a necessity, since diagnosing VPP issues is a lot more difficult without using Skydive. Skydive leads you towards the source of the issue, as opposed to the time-consuming studying of the VPP console. The importance of this demo is based on the need to extract data from VPP. Since the platform does not easily provide the required output, this provides a birds-eye view on the network via Skydive. “The Skydive demo was a huge hit. 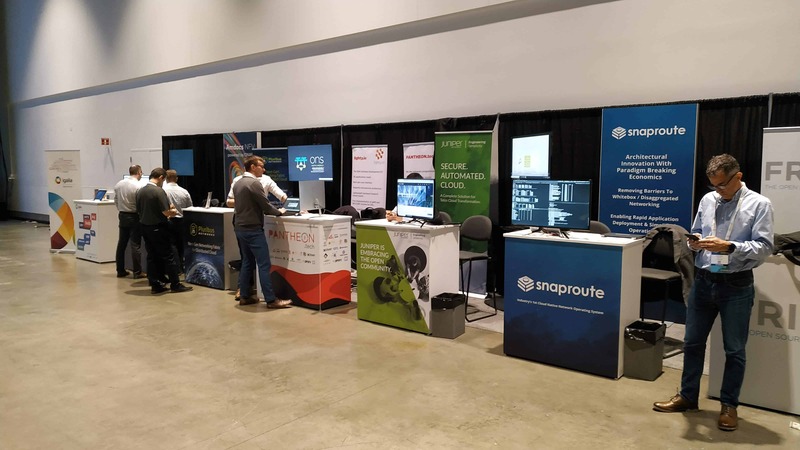 Since it was presented in full-screen and had its own booth, we gained a lot of attention due to this unique solution.” Attendees were also interested in our Visibility Package solution and what kind of support PANTHEON.tech could provide for their future network endeavors. We would like to thank the Linux Foundation Networking for this opportunity. See you next year! PANTHEON.tech visited Shanghai last week to attend the third annual Huawei Connect. Martin Varga shares some insights from the event. This year’s theme was Activate Intelligence. Huawei outlined its broad strategy to bring artificial intelligence (AI) to the masses in applications in manufacturing, autonomous driving, smart cities, IoT and other areas. AI will enable billions of new devices to be connected and transfer big data over the network. The conference was held in Shanghai, China, at the Shanghai World Expo Exhibition Center. Huawei has put a lot of resources and effort into organizing the event which has shown its direct impact on over 26,000 in the attendance. The conference was organized perfectly, to the last detail (exhibition areas, keynotes and conference area, chill-out zones, etc.). We have witnessed the demonstrations of various smart technologies, ranging from smart city applications, smart education, smart transportation. Smart everything. Huawei is also building an AI ecosystem of partners, that is targeted to exceed 1 million developers over the next three years with US$140m. We have had some interesting meetings with Huawei’s representatives. It was very pleasant to learn about Huawei’s visions for the near future. We are also glad to share the same vision for an exciting future. Huawei invests heavily into researching new technologies such as AI or IoT, in order to define practical use-cases that can be deployed into their product’s portfolio. 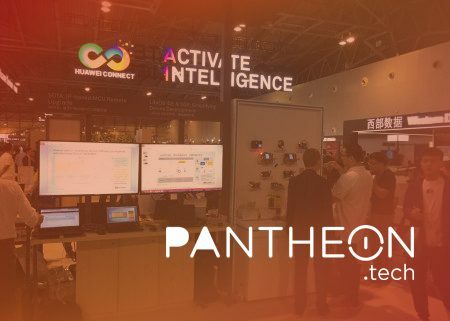 PANTHEON.tech, as a software development company, is strongly focused on computer networking which is related to the Huawei’s vision to integrate AI into managing network operations. Feel free to contact PANTHEON.tech if you have interest in any of the AI, AR/VR, IoT, Intent Driven Network, SDN, NFV, Big Data, and related areas. We can talk about challenges and how we can solve them together. Private data centers are the hot topic for companies and enterprises who are not willing to push all the data into public clouds. Kaloom Software Defined Fabric™ (Kaloom SDF) is the world’s first fully programmable, automated, software-based data center fabric capable of running VNFs efficiently at scale. This is the first data center networking fabric on the market that provides complete automation and full forwarding plane programmability. approached PANTHEON.tech last year, knowing Pantheon’s intensive and long involvement in SDN, particularly in OpenDaylight project. OpenDaylight (ODL) is a modular open platform for orchestrating and automating networks of any size and scale. The OpenDaylight platform arose out of the SDN movement, in which PANTHEON.tech has expertise and experience. 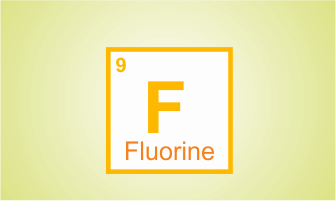 Hence, it was a logical step to utilize this expertise in this project and leverage what has already been done. Traditional ODL based controller design was not suitable for this job because of bulkiness of the Karaf based deployments. Kaloom requested a modern web UI which vanilla ODL platform does not provide. lighty.io as a component library provides an opportunity to run ODL services such as: MD-SAL, NETCONF and YANG Tools in any modern web server stack, and integration with other components like MongoDB. MongoDB as a persistent data store. This is how Kaloom Fabric Manager (KFM) project has started. After several months of customizing development, we have deployed a tailored web application which provides management UI for Kaloom SDF. We have changed and tailored our Visibility Package application to suit Kaloom’s requirements and specifics. This specialized version uses the name of KFM. The architecture diagram above shows details/internals of the KFM and how we interconnect with Kaloom’s proprietary Fabric Manager/Virtual Fabric Manager controller devices. 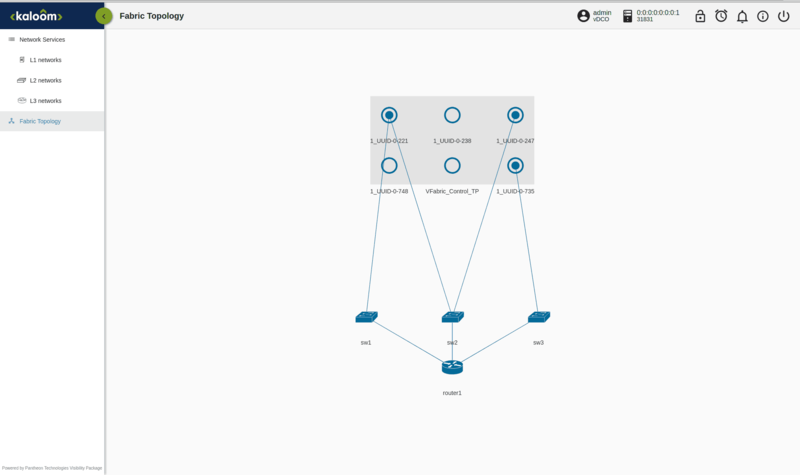 lighty.io based back-end of the KFM with NETCONF plugin provides REST services to the Angular UI, which is using our Network Topology Visualization Component for the better topology view visualization and user experience. Using these REST endpoints, it is easy to send specific NETCONF RPC to the Kaloom SDF controllers. While working on this next-gen Data Center Infrastructure Management software, we have realized that integrating all moving parts of the system is a crucial step for final delivery. Since different teams were working on different parts, it was crucial we could isolate the lighty.io part of the system and adapt it to the Kaloom SDF as much as possible. We have used our field-tested NETCONF device simulator from our lighty.io package to deliver the software which was tested thoroughly to provide stability of the KFM UI. Kaloom SDF provides a solution for physical data centers administrated by Data Center Infrastructure Provider (DCIP) users. A physical data center can be easily sliced to virtual data centers offered to customers, called virtual Data Center Operator (vDCO) users. The DCIP user can monitor and configure the physical fabrics – PODs of the data center. KFM WEB UI shows the fabrics in topology view and allows updating the attributes of fabric and fabric nodes. The main task of DCIP user is to slice the fabrics to virtual data centers and virtual fabrics. This process involves choosing servers through associated termination points and associating them with the newly created virtual fabric manager controller. Server resources are used through the virtual fabric manager by vDCO users. vDCO users can use the server resources and connect them via network management of their virtual data center. vDCO can attach server ports to the switches with proper encapsulation settings. After the switch is ready, vDCO can create a router and attach switches to it. The router offers different configuration possibilities to follow vDCO user’s needs: L3 interface configuration, static routing, BGP routing, VXLANs and many more. KFM offers also topology view of virtual data center network, so you can check relations between servers, switches, and routers. Robert Varga is PANTHEON.tech’s Chief Technology Officer who has almost two decades of Information Technology Industry experience ranging from being a C code monkey, through various roles in telecommunications’ IT operations to architecting bleeding edge software platforms. Robert has a deep expertise in Software Defined Networking, its applications and the OpenDaylight platform. Within those decades, some of the technologies he had experience are: C/C++, Java, Python, various UNIX-like systems and database systems. Robert has a very strong background in design, development, deployment, and administration of large-scale platforms with the primary focus on high availability and security. Robert has been involved in OpenDaylight from its start, architecting, designing and implementing the MD-SAL. He is the most prolific OpenDaylight contributor and a member of the OpenDaylight Technical Steering Committee, representing kernel projects. His code contributions revolve around key infrastructure components, such as YANG Tools, MD-SAL and Clustered Data Store. He also designed and implemented the first versions of the BGP and PCEP plugins. Until today, Robert Varga had made 11,368 commits in 66 ODL projects over the course of ODL’s lifespan. That is 621,236 added and 524,842 removed lines of code and that translates roughly around 12 great novels written in </code>. ODL continues to be a great example of what an open-source software is and how international contributors can collaborate beautifully to create the next great thing. There are currently only 13 TCLs in ODL who help steer the project forward and lead the ODL to be the most successful SDN controller in the world. He is proudly one of the ODL Technical Steering Committee Members and a committer to a range of projects. The all-time top contributor of ODL Robert Varga, Chief Technology Officer of PANTHEON.tech makes the company proud to be among the top contributor of such innovative, successful project. 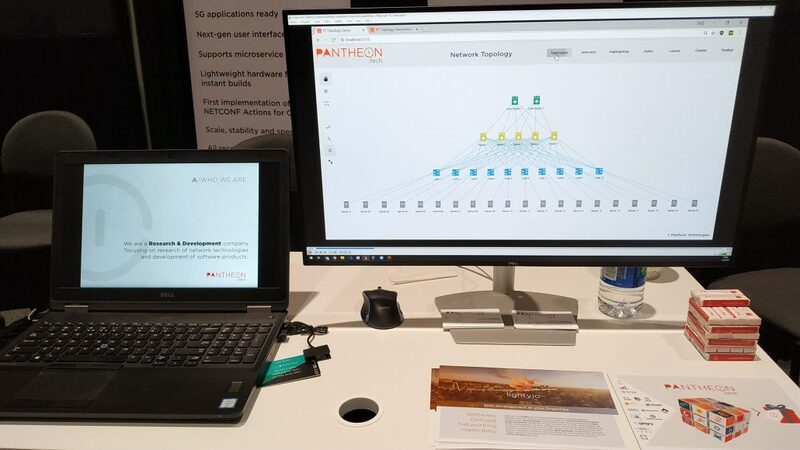 Robert shares the PANTHEON.tech’s ambition to create the biggest and most successful open-source Software Defined Networking (SDN) controller in the world. Robert will be available to share his deep expertise in the field and representing PANTHEON.tech the silver sponsor of Open Networking Summit Europe which will take place on Sep 25-27 in Amsterdam. Join Robert at PANTHEON.tech’s booth #14 in the event to get a glimpse of the Software Defined Networking future. 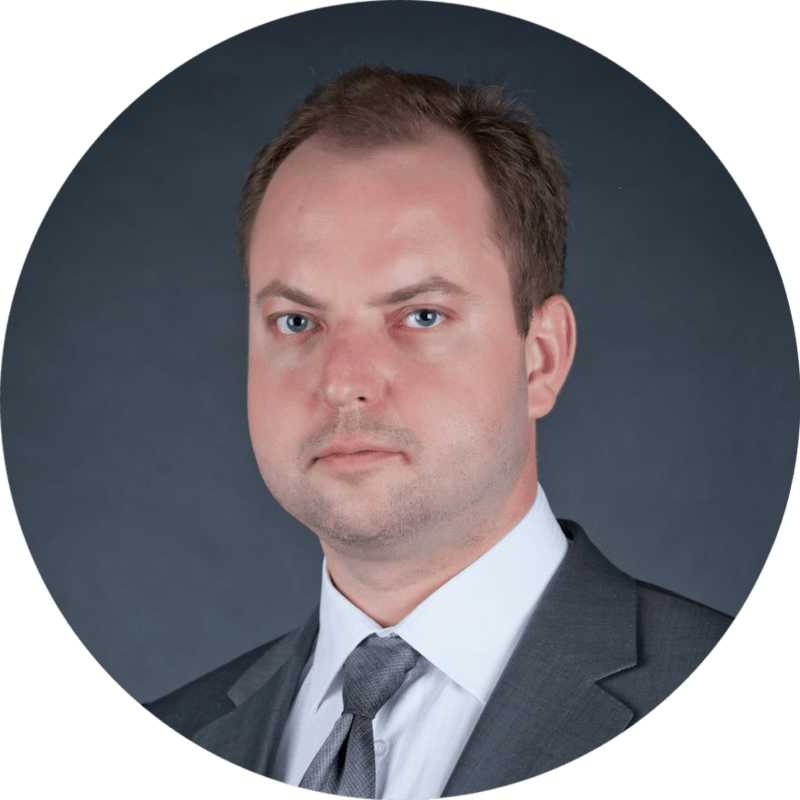 Štefan Kobza is Chief Operation Officer at PANTHEON.tech with almost two decades of professional Information Technology industry experience. He started his career as a software developer and built his way up. Štefan has worked on different projects ranging from developing proprietary code for major networking vendors to rating and billing services mainly in computer networking and telecommunication industries. All of his coding experiences helped Štefan to understand his game and stay on top of the projects he is involved and for PANTHEON.tech’s current customers to provide the highest quality engineering services. Štefan has taken part in the process of defining some IETF RFCs ¹ ², which was an experience on its own. Lately, he had developed a special interest for open-sourced projects and its communities. Understanding the daily life of a software developer, Štefan helps in building an ever growing and ever improving environment that helps PANTHEON.tech provide the highest quality engineering services. You can find his published articles and activities on his LinkedIn profile. Besides leading day-to-day business in PANTHEON.tech, Štefan also watches closely the development around OpenDaylight, OPNFV, ONAP, FD.IO, Sysrepo, Contiv, Ligato, and others. Find Štefan representing PANTHEON.tech the silver sponsor, at booth #14 in the Open Networking Summit Europe to exchange ideas and to get a glimpse of the Software Defined Networking future. 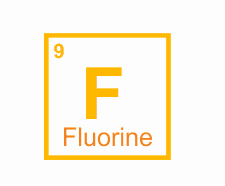 PANTHEON.tech is proud to announce the release of lighty.io 9.0 following the official OpenDaylight Fluorine release. lighty.io has been adapted to reflect the latest upstream changes and made fully compatible with. Check out our latest lighty.io release on our GitHub account. Streamlined generated Yang module APIs. The biggest ODL improvement is the new set of core services provided by the MD-SAL project. Older services provided previously by the controller project have been marked as dprecated and will be removed in future ODL/lighty.io releases. lighty.io provides new MD-SAL services as well as deprecated controller implementations. 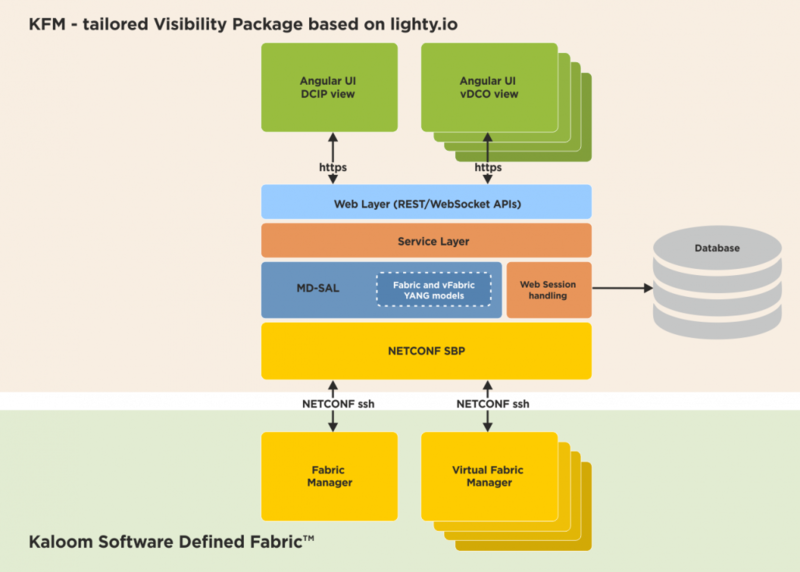 Please see lighty.io Services for reference. If your application uses any of the deprecated marked services, you should consider refactoring. Contact us for any troubleshooting requirements. Up-to-date web server Jetty 9.4.11.v20180605 with better HTTP2 support. RESTCONF implementations are now in compliance with HTTP2. YANG actions implementation as it was defined in RFC 7650.
gNMI / OpenConfig south-bound plugin. Improved Javadoc for main APIs. The easier pathway towards JDK 11 adoption. And many more, please check them out on the lighty.io web. 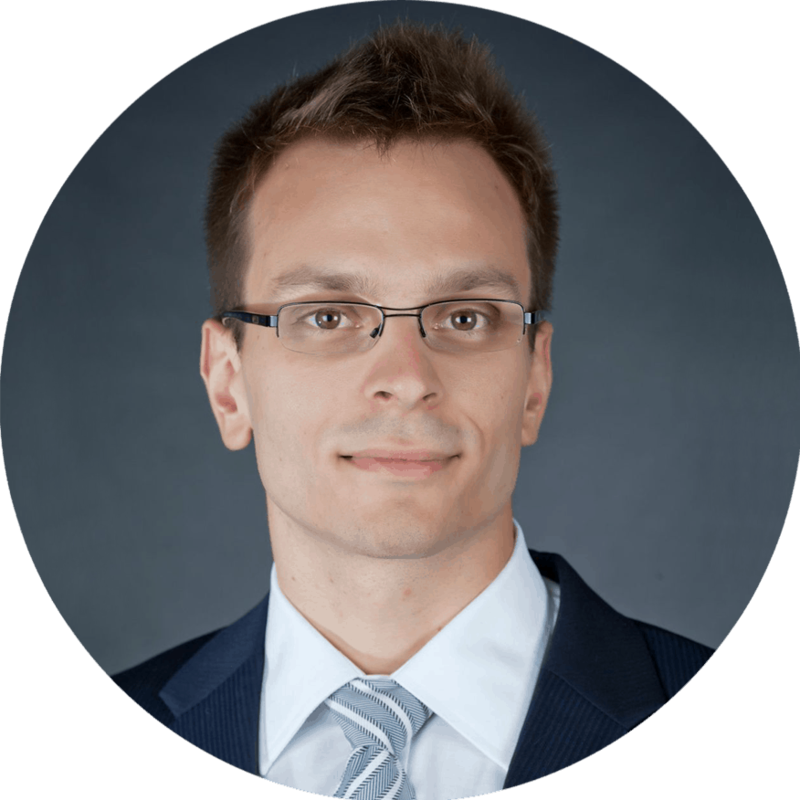 Juraj Veverka is PANTHEON.tech’s Technical Leader and Solution Design Architect who has over 15 years of technical experience. 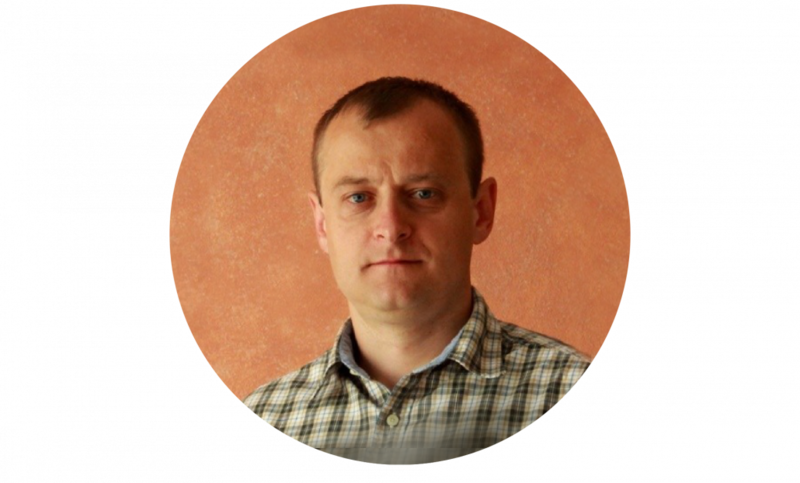 Juraj has a deep expertise in design and implementation of Software Defined Networking applications using the OpenDaylight platform. Some of the technologies he uses from his toolbox are Java, Python, JEE7, SpringBoot, GRPC, OpenDaylight, ONAP, Yang, Netconf, Restconf, OpenFlow, BGP, FD.io, C/C++, HTML. 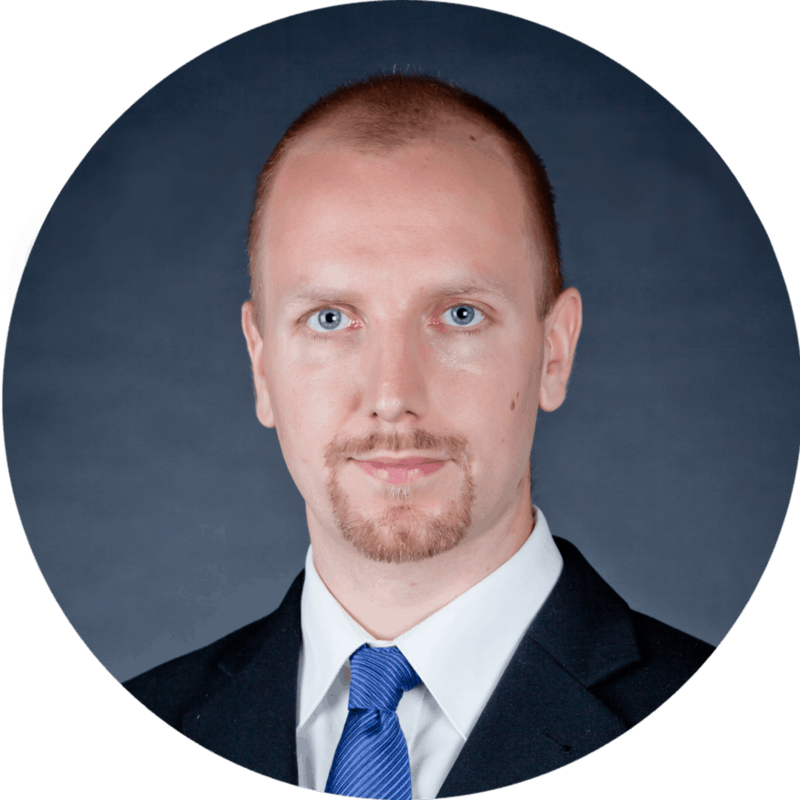 Juraj has a Telecommunication and Electrical Engineering degree from the University of Zilina, Slovakia. Juraj shares the company’s mission to create the best development stack for SDN applications and has a passion for Java and embedded platforms. You can find his published articles on his LinkedIn profile and see what he is working on, on GitHub. Juraj will be available to share his deep expertise in the field and representing PANTHEON.tech the silver sponsor of Open Networking Summit Europe which is going to take place on Sep 25-27 in Amsterdam. Find PANTHEON.tech at booth #14 in the event to get a glimpse of the Software Defined Networking future. Miroslav Mikluš is the vice president of engineering department at PANTHEON.tech. Since he has had graduated from Slovak Technical University in Bratislava, Miroslav had almost two decades of Information Technologies experience mainly in the Slovak Republic tech companies with titles as Director of Engineering, Head of Information Technology Services division, Senior Technical Leader, etc. He started his career as a software developer and had climbed many steps of the tech industry to reach where he is now. Miroslav has helped to develop and deliver dozens of successful software developments and integration projects mostly for the computer networking industry. He loves to play basketball and running. Miroslav will be representing PANTHEON.tech the silver sponsor of Open Networking Summit Europe which is going to take place on Sep 25-27 in Amsterdam. Be sure to be there to meet with him in person in PANTHEON.tech’s booth #14 or the on 5k Fun Run on September 26.